Darksiders came out (Jan 5, 2010) and it was essentially one-part God of War and one-part Legend of Zelda. It wasn't just "similar" to them. It was an homage. It even included a tribute to Portal. It created its own style of badassery as far as aesthetics and storyline (you play as one of the four horsemen of the apocalypse) but it mostly borrowed from the other games to show its love for them. The problem came with that borrowing because the main complaint about the game was that it wasn't as tight of a performance as either game. For example, God of War has a fluid yet complex combat system that manages to be intuitive while also a challenge. Darksiders on the other hand can be completed by spamming the basic sword attacks. Another example, Legend of Zelda has dungeon-crawling with elaborate puzzles that build upon the mechanics of new items. Darksiders on the other hand makes the puzzles too easy (they practically solve themselves) and strangely repetitive rather than building up the player's knowledge for more complex and interesting puzzles. That isn't to say it's a bad game by any means. It was just very obvious that they were attempting a tribute to two incredible games but it couldn't quite reach the heights those games have brought to so many gamers. 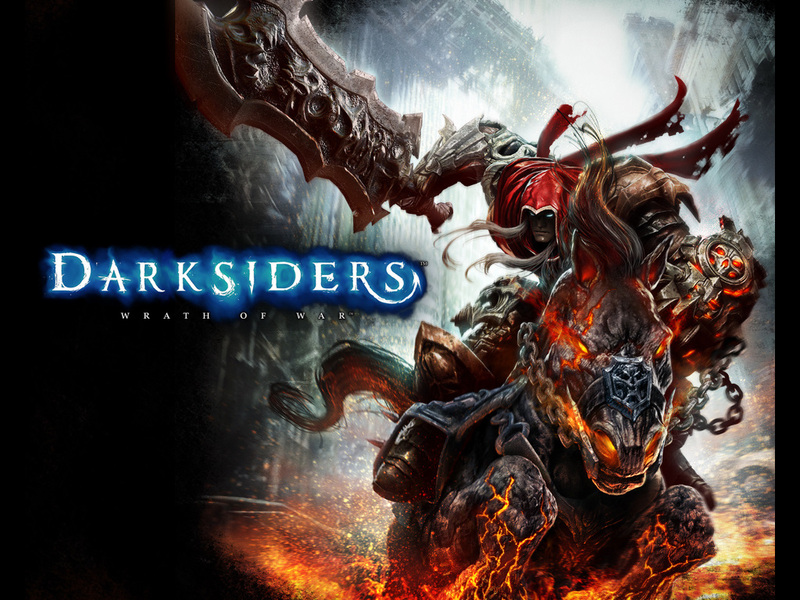 Then Darksiders 2 came out recently (Aug 13, 2012) and it tried to shake things up. So this time around we're not only giving tribute to God of War and Legend of Zelda but also Diablo and Prince of Persia. There are RPG elements, loot drops, wall running, and climbing/swinging/jumping/whatevering. This is a game that wears its heart on its sleeve but it seems to run into the same issue again. It does a better job of trying to imitate its collection of games this time around but it never fixed the original issues and added a few minor ones as well. Bosses are fantastic but the regular enemies might as well not exist due to how easy it is to shred through them. Puzzles try to shake things up at times but ultimately you still repeat the same basic puzzle scheme over and over. There are a load of ideas taken from Diablo but then the entire game is literally a series of fetch quests. The Prince of Persia environment running is here but with glitches and issues that mean you'll be falling to your death when it was completely avoidable. The environments and world were remarkably massive this time around but completely barren without anything populating them. Basically we're ten steps forward in the right direction and five steps back all at the same time. Again, not a bad game by any means. It's still a blast to play through but it's obvious that it could have been so much more. The next game in the series is almost guaranteed to give us even more tributes to gaming in the form of new gameplay elements but the biggest thing that Vigil Games is going to have to overcome is raising the ladder for how high these mechanics can go instead of falling into the same trap. We don't need another jack of all trades, master of none scenario. They have two games under their belt with an even larger studio and staff now. If they're able to polish each section of the gameplay, on top of whatever they're adding, then Darksiders 3 could easily be a must-own title. What are your thoughts on the Darksiders series? This is Kylak signing out and wondering if the four horsemen have to deal with saddle rashes.